Notes: Look! I knit socks! I haven't finished a pair of socks since November of 2008. I started these on jury duty in November 2009 and then they sat in a bag for over a year. I pulled them out for the Sock Stash Knitdown on the Stash and Burn Ravelry forum. I'm excited to be knitting socks again since I wear them every day and love them so much. It's also nice to use some of these great yarns that have been languishing. There is some errata for this pattern so be sure to get that before starting. Those are awesome! 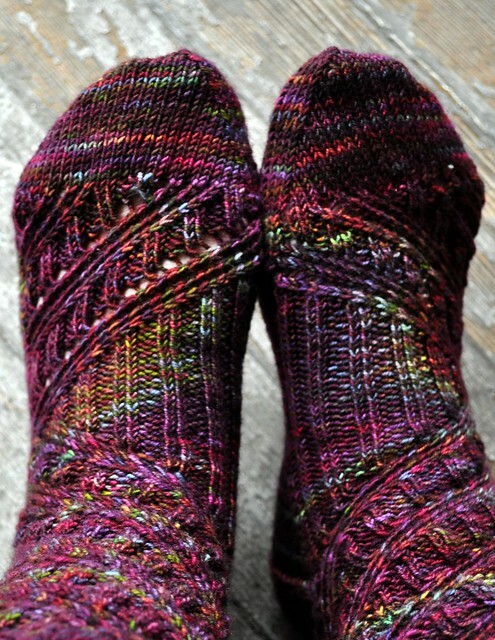 I need to get back to socks... hell, I need to get back to knitting, period. I have about 1/2" ribbing left to go on a gansey cardi I started almost ten years ago. I thought that pattern looked familiar! 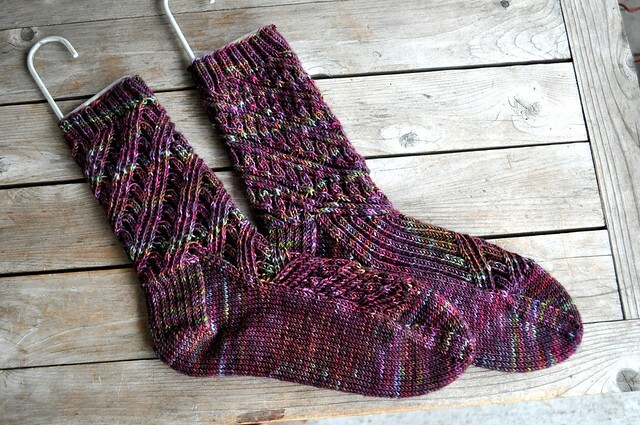 That is a really nice pattern for a variegated yarn. I love how these turned out! 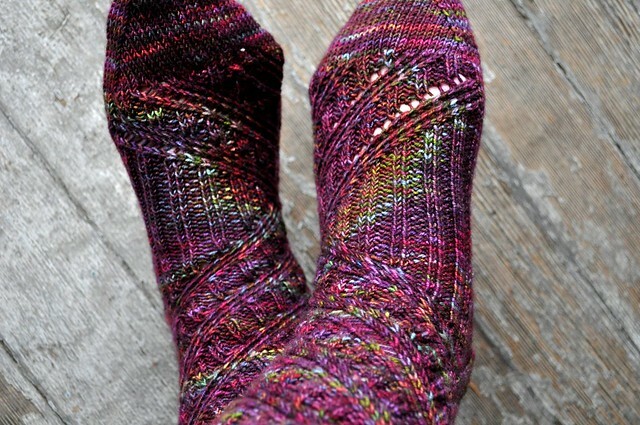 Those are fabulous -- great combo of yarn & pattern!! Those are such pretty socks! I love the yarn and the pattern. Those socks are beautiful! I love the colors. It really does look like a bag of rare gems.